If you’re a homeowner who wants to leave the country to pursue new challenges or a professional landlord with a large portfolio, Sandersons can provide a new and dynamic approach to letting your property for you. We pride ourselves in finding solutions that are tailored around your requirements. By cutting out the stress and hassle normally associated with the lettings process, we work tirelessly to find high calibre tenants for your property. With a variety of options on offer, you can feel comfortable knowing that we will be there to guide you every step of the way. At Sandersons we have a strict referencing process in place to protect our landlords. If we wouldn’t let someone live in our house then we won’t let them live in your property. In such an unpredictable market, we provide regular and accurate feedback that will ensure you stay in tune with market conditions. At Sandersons you will receive an optimal and proactive service that fits around your schedule and we are known for letting properties in record times at prime rental prices. If your new to the property industry or simply too busy to remember what day of the week it is, we offer a rent collection service that would be ideal for you. With a dedicated team in place, we can collect rent on your behalf and have it paid to your account on time and hassle free. With one less thing to worry about you can use this additional time to learn a new language or how to fly a plane. Our proactive approach to business and attention to detail has made us the go-to place for various multinational companies. We always look for the best solution rather than a quick answer and as a result some of the world’s top banks, hedge funds and conglomerates use Sandersons to find homes for their staff. With some of the highest calibre of professionals on our books, you can look forward to long lasting tenants who will look after your property. A well-managed property is often the key to securing high calibre and long lasting tenants. Often landlords simply don’t possess the time needed to ensure that every aspect of their property is running smoothly, or they are simply based abroad and are not around to key an eye on things. At Sanderson we offer a comprehensive property management service that ensures your property is running like clockwork. From simply changing a light bulb, to more complex jobs such fixing leaks you can be confident that Sandersons will tend to the problem quickly and efficiently with minimal cost. Let Sandersons manage your property and you’ll see that the service will pay for itself. Once you have approached us about marketing and letting your property, we will strive to be the back bone throughout the whole process. We will book you in for an initial consultation with one of our experienced managers at our stylish Holland Park office or at a location convenient to you. 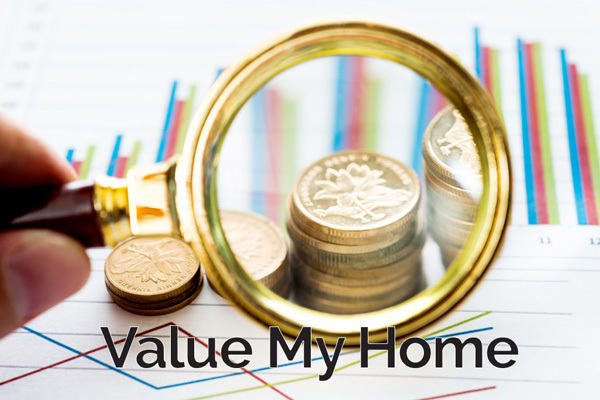 • We will attend your property to give an accurate and realistic valuation. • They say a picture paints a thousand words and we will arrange professional high quality photographs to maximise your properties marketability. • Your property will the then receive maximum exposure on various property portals as well as our own innovative website. • Once we receive enquiries, we then do viewings on your behalf, carefully following any instructions you have given us. • If someone wants to make an offer on your property, we take a two weeks holding deposit to show that there is serious interest. • We find out all necessary information before submitting a formal offer to you. If you are happy to proceed, we then being our stringent referencing. • Once everything checks out and we are happy to proceed, we draw up the agreed contracts and offer an opportunity for you to meet your new tenants. Our involvement doesn’t end there; we remain present to provide guidance and assistance for you even after your tenants have moved in. We are about building long lasting relationships and approaching the lettings process in a refreshing and energising way. We work tirelessly for our landlords and would welcome you to join the Sandersons family.